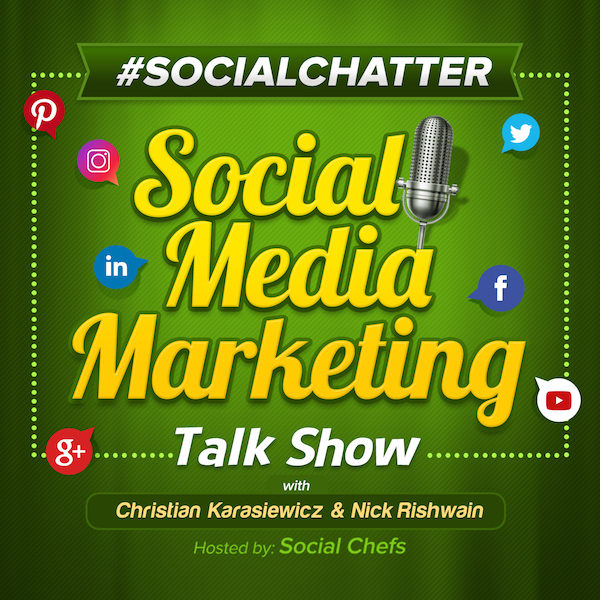 Welcome to this week's episode of Social Chatter, the longest running social media marketing talk show where we cover the latest social media news from this past week, including LinkedIn lookalike audiences, Twitter conversation subscriptions, interactive Instagram Stories ads, WritingBunny and more. If you like, you can watch or listen to Social Chatter on our blog, YouTube channel or the Alexa Flash Briefing. For those of you who missed last week's episode on Facebook Ad relevancy score updates and Instagram in-app checkout, you can watch the replay here. Let's see what's new in social media this week with, Christian Karasiewicz and Phil Gerbyshak. In LinkedIn news, they are adding LinkedIn lookalike audiences and 20 b2b ad templates to LinkedIn ads. These new updates, coupled with greater interest targeting using Bing search data, make LinkedIn Ads a must for 2019. Here's a look at what is changing for LinkedIn Ads. "LinkedIn's lookalike audiences combine the traits of your ideal customer with our rich member and company data to help you market to new professional audiences similar to your existing customers, website visitors and target accounts." This means you'll be able to reach audiences that convert better. You'll also be able to extend the reach of your ad campaigns. To tap into LinkedIn lookalike audiences, start by creating a matched audience within your LinkedIn Campaign Manager. This week, LinkedIn also released 20 B2B audience templates. You'll be able to use predefined targeting profiles. These include targeting capabilities such as member skills, job titles, groups and more! LinkedIn lookalike audiences can help you reach customers who are similar to your existing ones. By tapping into lookalike audiences, as well as using the new B2B audience templates, you can quickly run high-performing LinkedIn ads for your business. You can read more about LinkedIn lookalike audiences and new b2b templates here. Also this week, LinkedIn rolled out the ability to share your availability for meetings in LinkedIn Messenger. By adding the ability for you to share your availability with others in LinkedIn Messenger, you can quickly schedule your next meeting without the need to send emails back and forth. In Messenger, simply tap the calendar icon in a conversation. You can then propose an available time to meet right. You can also send a location for a meeting. Overall, this can save you a lot of time. You won't have to tell someone that you'll get back to them. You can read more about new LinkedIn meeting availability here. In Twitter news, they are testing Twitter conversation subscriptions. Instead of following a Twitter conversation by liking it or commenting, you can subscribe to a thread. Twitter conversation subscriptions will make it easy for you as a business owner, to follow along with your favorite tweets - without the need to like or comment on them. This can be especially useful if you follow Twitter chats. While conversation subscriptions are currently in testing, if you login to Twitter and see the following "bell" option, you'll know you have this new feature. You can read more about Twitter conversation subscriptions here. In Instagram news, they are rolling out interactive Instagram Stories ads. According to Instagram, "60% of businesses on Instagram Stories use an interactive element in their organic story - hashtag, @mention or poll sticker." To continue building out Instagram Stories, they're rolling out interactive Instagram Stories ads. The first one that will be available is Instagram polling stickers. Here is a look at interactive Instagram Stories ads that are using the poll stickers. Using polls in your Instagram Stories can be a great way to gather feedback from people viewing your Stories. You can also use these to gather feedback to improve your business. For example, you may be trying to decide between two different designs or colors for a new product or want to run an Instagram contest. Interactive Instagram Stories ads can help you gather feedback from your followers to help your business make the right decision. To run your own Instagram Stories Ads, follow these steps. Check the box that says "add an interactive poll"
You can learn more about interactive Instagram Stories Ads, here. Also in Instagram news, they are going to lock old Instagram usernames for 14 days. This way whoever owns that username on Instagram can revert back to it within the grace period. You may not be aware, but there are "grabber bots" that can automatically take an Instagram username when you change yours. With Instagram adding a 14-day locking period, you'll be able to change your Instagram username, without worrying about losing your original one. This will provide you with peace of mind, knowing you can change your Instagram username, without losing your original one. When you change your Instagram username, this is the message that you will see. Some people might not like that Instagram is going to lock usernames, mainly squatters or people who steal Instagram usernames and then try and re-sell them for a profit. In Facebook news, you can now share Facebook Live video to your Facebook Groups. When you schedule a Facebook Live video on your Facebook Page, you can now choose to share your live video to your Facebook Groups. If you run a Facebook Group along with a Facebook Page for your business, sometimes you may want to broadcast your live video content there as well. To share your Facebook Live video to Groups, simply edit your Facebook Live video broadcast and look for the "share to your Groups" option and enter the name of a Facebook Group where you want to share your live video to. If you have multiple Facebook Groups that you want to share your live video to, you can enter them there as well. The first tool that we have discovered this week is WP Rocket. Would you like to speed up your WordPress website? This way your content loads fast in just a few clicks for readers. With WP Rocket, you can quickly improve the loading time on your website. This is because WP Rocket is a WordPress caching plugin. By using a caching plugin on your website, it can help ensure that when readers want to access your blog content, it will load quickly for them. WP Rocket is available for one website for $49. They also offer WP Rocket Plus, which will let you use it on 3 websites. The second tool that we have for you this week is WritingBunny. WritingBunny can help your business hire a team of writers to create blog posts, social media posts, books and more. By using WritingBunny, you can delegate the writing aspect, allowing you to work on other tasks to grow your business. Prices for WritingBunny vary. For example, you can have a 300-word blog post written by a professional, ready in 2 days, for $57. WritingBunny can also help your business write email newsletters, create press releases, website content and more. If you have any questions about any of the social media news or tools that were mentioned this week, please share them with us on Facebook, Twitter, LinkedIn or in the comments below.